Cute and smart hairstyles for school going girls are a new trend these days. If your daughter has to attend a school function or if you wish to make to her sport a trendy hairstyle every day at school, then it can be really fun and pretty because there are different hairstyles that you can try. All you have to keep in mind is that, since it is for school you cannot go overboard with style. Here we have chosen the top thirteen school going girls long hairstyles which can be worn on a regular or occasional basis if you think it fits your daughter’s school decorum. Take a look. 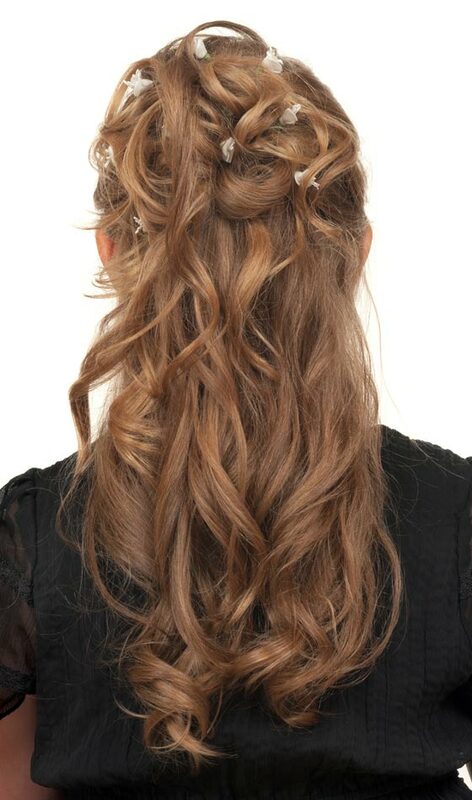 Try out this pretty side parted pinned hair look for your daughter and see the flash of happiness on her face. Use some small tiny clips for sticking up the hair tightly. The clean the sectioning of the parting of hair, the better for this hair style. If you want a clean yet fashionable hairstyle for your kid, then try this one out. Try out this hairstyle. Do a thin braid and use some floral clips on top to tie the hair into small sections. Leave the rest of the hair straight and long. Layers and side parting can look good on any girl of any age. You can tie the hair at the back if long loose hair is not allowed at school. This twisted floral chignon is a nice thing to do if you want a stylish and classy hairstyle for your kid. All you need is a small clip for the regular days, while you can use a floral fashionable clip if you are doing it for a function. This is a very easy to do hairstyle. Do a mid raised ponytail leaving a section of hair at one side and tie it up. With the left out section, do a half length braid and then tie a rubber band. Use the non-braided portion to go round the ponytail in a tie-up manner. An easy to do and sport hairstyle with triple braids made form a top tied pony. An easy to do hairstyle, that can be done with a little time in hand. An amazing hairstyle, which is so totally unique. The story of long pony fits very well with a school uniform. This time, give the ends some big curls and see the difference. Here is a tutorial with some more hot designs for school hairstyling! 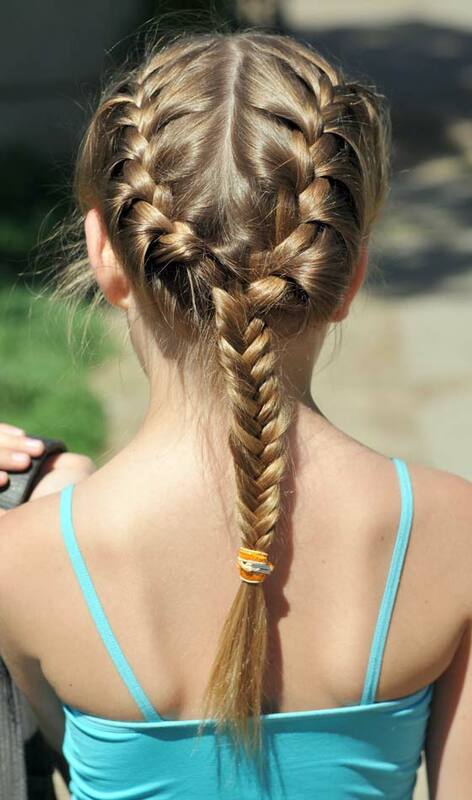 This is a perfect option of the casual hairstyles for kids if you want to keep your daughter’s hair down. All you need to do is to take an inch of hair from each side of the head and secure it at the back using a hair tie or hair pins. To dress up this simple hairstyle, all that is needed are curls. Curl the lower section of the hair using a curling iron or preferably rollers. This style not only looks neat and formal but also helps in keeping your kids hair away from her face which makes the whole look all the more tidy. 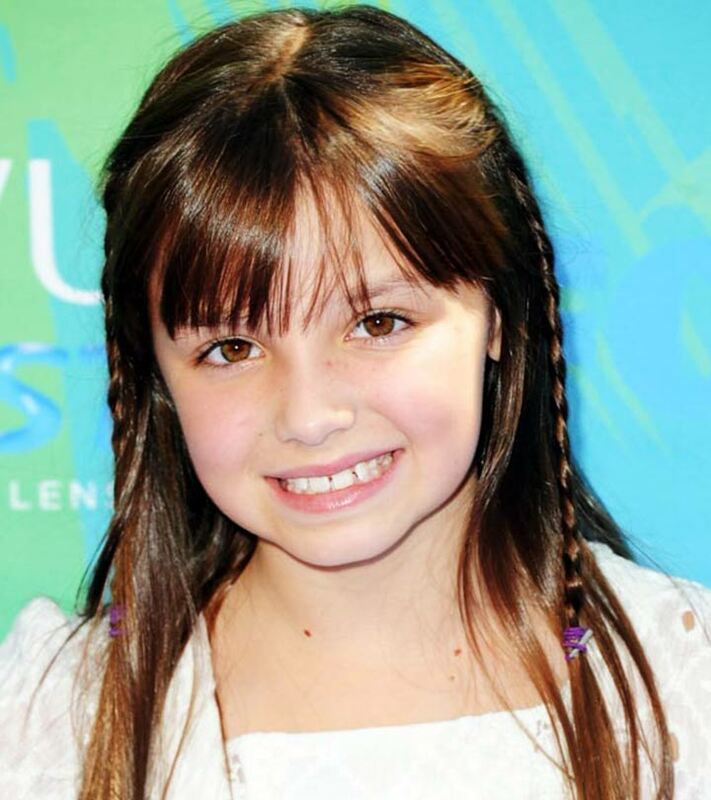 This is a classic formal little girls formal hairstyles and is suitable for any age and any occasion. 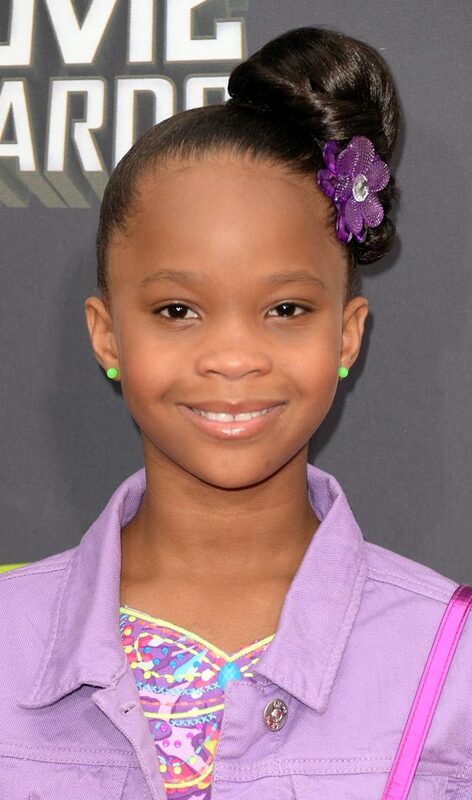 There are a lot of different types of braids that you can choose from depending on the length of your daughter’s hair. This hairstyle is quite practical and easy as it doesn’t take too much time to create a braid; even a simple braid looks pretty and holds for a long period of time. 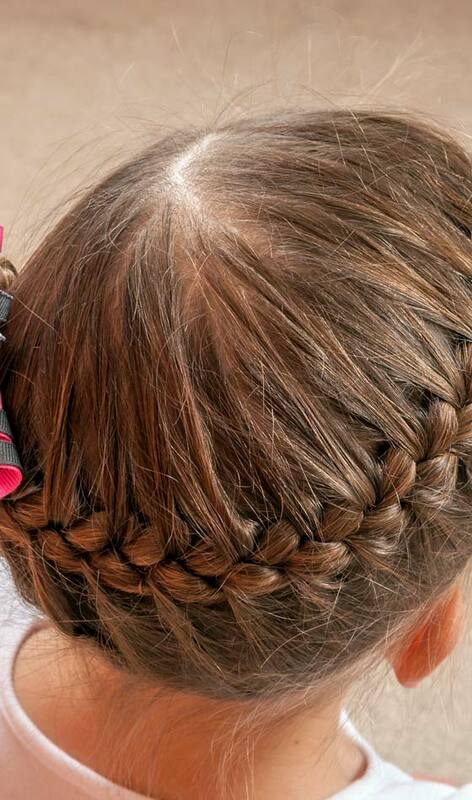 Also, a braid is perfect for the day when you have an occasion to attend but don’t have the time to wash your kid’s hair as a braid is easier to do and holds better on hair that has not been washed for a day or so. 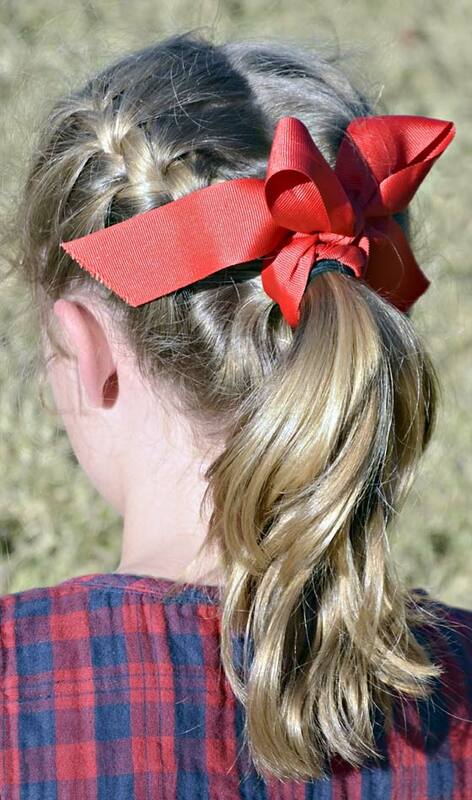 You can easily accessorize it with ribbons or fancy hair ties. Whether it’s a simple three section or a challenging French braid, this hairstyle is something that you can rarely go wrong with. Since there are so very many different types of braids you can do, we give you a couple of options here. 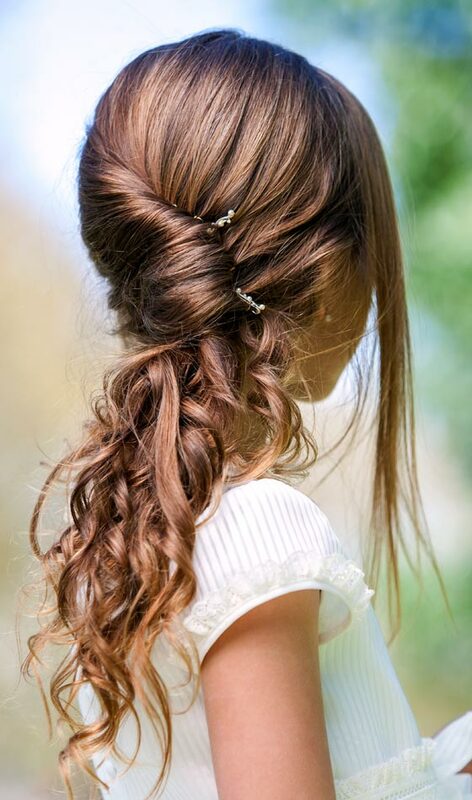 This hairstyle is perfect if your daughter is blessed with natural curls. Though this looks best with long hair it can also be modified to work with medium or shoulder length hair. To achieve this hairstyle, you need to sweep hair from the top and from the top of both ears and bring them around the skull to the crown of the head. The three sections should meet at the center of the crown area where they are secured into a simple twisted knot. The hair below these upper sections is left to fall loosely and merge with hair in the back and the nape of the neck. Due to the presence of curls, this hairstyle gives an illusion of a very fancy ponytail. Another video tutorial for you. Young boys do not have too many options for changing their hair for formal occasions. If your boy usually wears his hair in a spiky style, you can go for a smoother, more polished effect by wearing them down. The slight sweeping hairstyle with parting on one side and uniform length hair is also known as the classic school boy hairstyle. The hair is combed on one side in this looks great on special and formal occasions. Another variation of this hairstyle can be achieved if the boy has a hairstyle in which hair is cropped close with just a pinch of more length on top than on the sides. The hair on the top is combed diagonally across his head forming the dynamic fringe and giving him a subtle, stylish appearance. When working on formal hairstyles for kids, it is important to make sure that the formal hairstyle is not too wild but at the same time helps enhance your kid’s looks rather than making him/her look bland. There are a lot of options when it comes to cute and trendy formal hairstyles for kids but one should be careful and make sure that at the end of the day the kid should look like its own age.